Agroscope ISS is affiliated with the Swiss Federal Office of Agriculture, conducts research for sustained economic activity in the agricultural, nutritional and environmental sectors. Agroscope develops scientific knowledge and basic technical principles for agricultural and environmental policy decisions and their legal implementation. Agroscope encourages a multifunctional and competitive Swiss agriculture, and focuses on economical, ecological and social issues. Agroscope orients itself towards future challenges and gives due significance to cross-disciplinary and innovative system approaches and operates in an application-oriented manner. The Agroscope research team “Ecology of Noxious and Beneficial Organisms” (ENBO) is constantly in exchange with cantonal plant protection officers and representatives of the cereal sector, e.g. 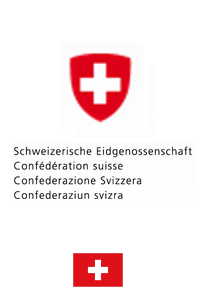 the Swiss Organisation of Cereal Growers, the Swiss Society for Nutrition, as well as the advisory association “AGRIDEA”. The ENBO team publishes internationally but also prepares national articles, field demonstrations and advisory leaflets for growers. Furthermore, the ENBO team actively participates in the working group “Food safety” of the branch organisation “swiss granum” by providing data on current and upcoming risks of deoxynivalenol (DON) contamination in wheat.